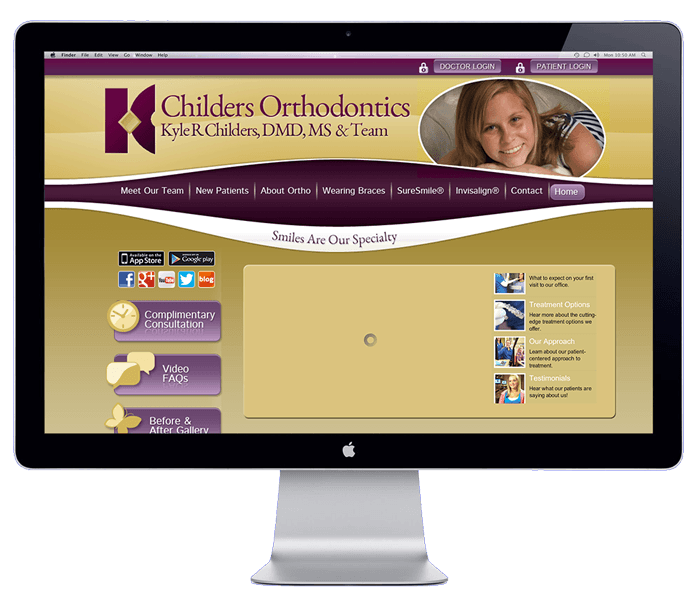 Childers Orthodontics has been creating beautiful smiles in Benton, Harrisburg and Herrin IL for over 25 years. 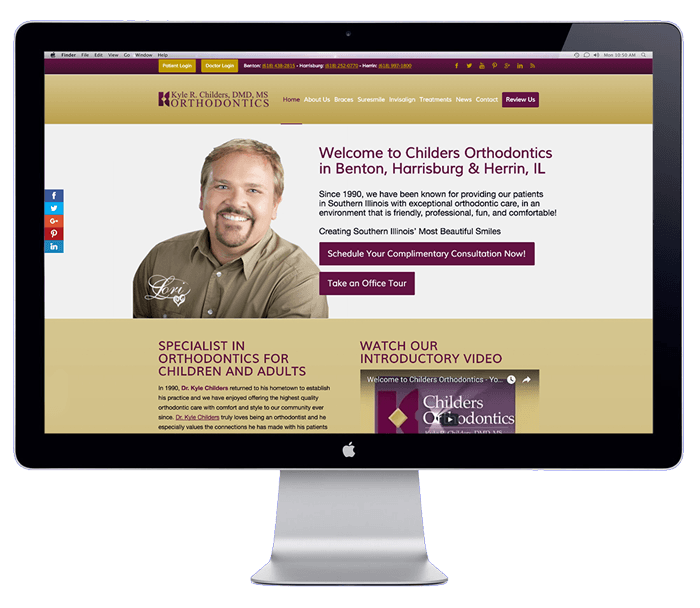 To design and develop a cutting edge website using the specific colors the doctor loves while maintaining both the company heritage and forward outlook. The site once completed needs to rank higher in search engines for more keywords and convert the site visitors to patients at a considerably higher rate than before.